Watch Liz Kreutz on ABC10 News Monday through Friday on Late News Tonight. Liz is an evening anchor and multi-skilled journalist who joined the ABC10 team in May 2017. A San Diego native, she is thrilled to be back in the Golden State after nearly a decade in New York City. 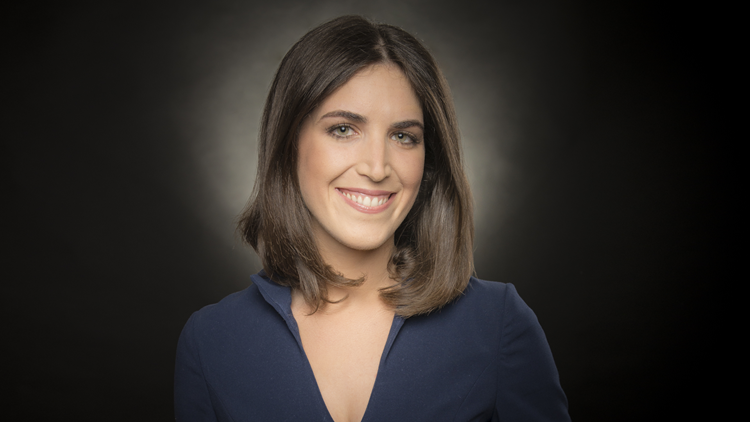 Kreutz comes to Sacramento from ABC News National where she most notably worked as the network's embedded reporter covering Hillary Clinton's presidential campaign. In this role, she traveled to 35 states with the candidate -- reporting on stories from the coal mining towns of Appalachia to the union hotel workers of Las Vegas. Before taking on the Clinton beat, Kreutz worked for ABC News as a general assignment digital journalist covering breaking news and feature assignments, as well as a coordinator on the Special Events team. During this time, she contributed to the network's coverage of a number of major news events, including the 10th anniversary of the 9/11 terrorist attacks, the 2012 presidential and 2014 midterm elections, the Sandy Hook school shooting, the Boston Marathon bombing, and the election of Pope Francis during the 2013 papal conclave in Rome. She was also the first national reporter on the scene of the Charleston church shooting in June 2015. Prior to ABC News, Kreutz was a freelance video journalist at the New York Post and Time Out New York, reporting on the city's arts, music and culture scene. She also interned at Glamour Magazine, PBS's POV social-justice documentary series, and NBC New York. Kreutz holds bachelor degrees in Broadcast Journalism and Media, Culture and Communications from New York University. At ABC10, Kreutz is the station spokesperson for the American Heart Association’s “Go Red for Women” campaign. She also serves on the Board of Directors for the Sacramento Press Club, where she co-chairs the scholarship program for aspiring journalists. She loves to travel, explore new cities, and learn about new people. You can contact Liz at at lkreutz@abc10.com or follow her on Twitter and Facebook.